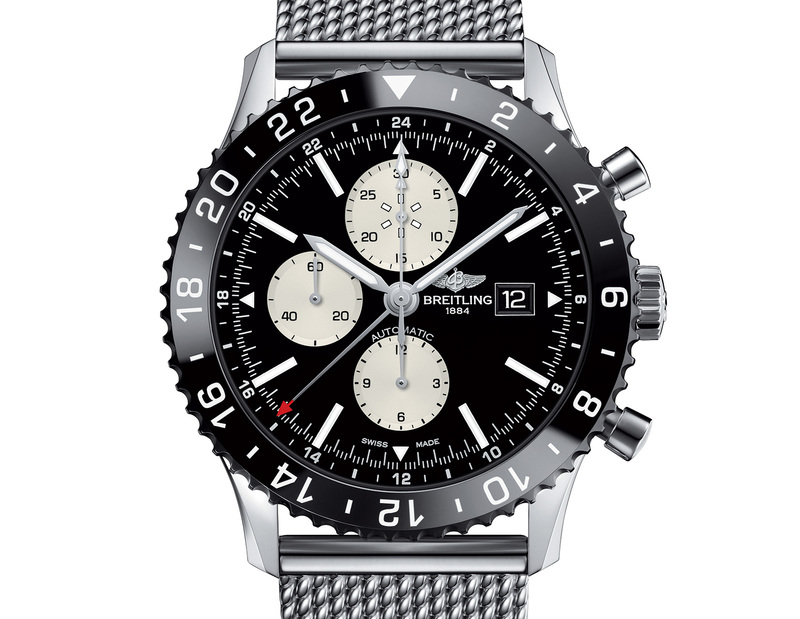 Modelled on the classic pilot’s chronograph from the fifties and sixties, the Breitling Chronoliner is an aviator’s watch with a retro bent, featuring a second time zone function and a ratcheting, 24-hour black ceramic bezel. 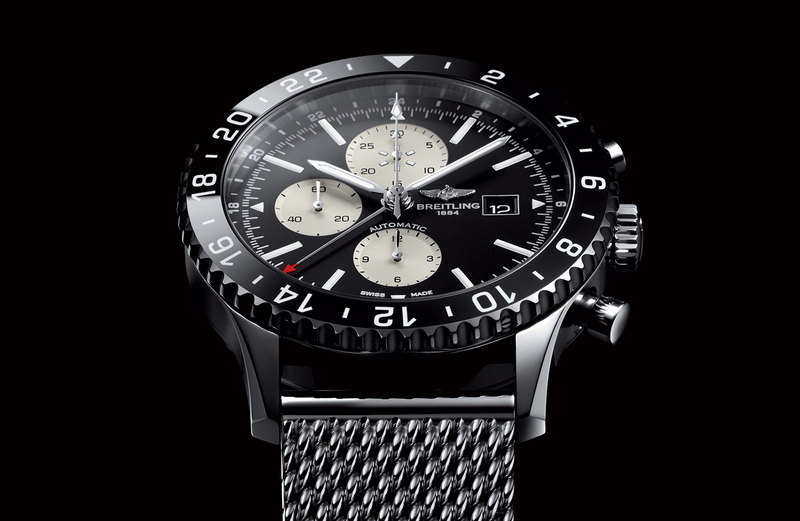 Equipped with a dual time zone function and a clean black dial, the Chronoliner is typical of Breitling‘s aviation watches, large and hard to miss on the wrist. 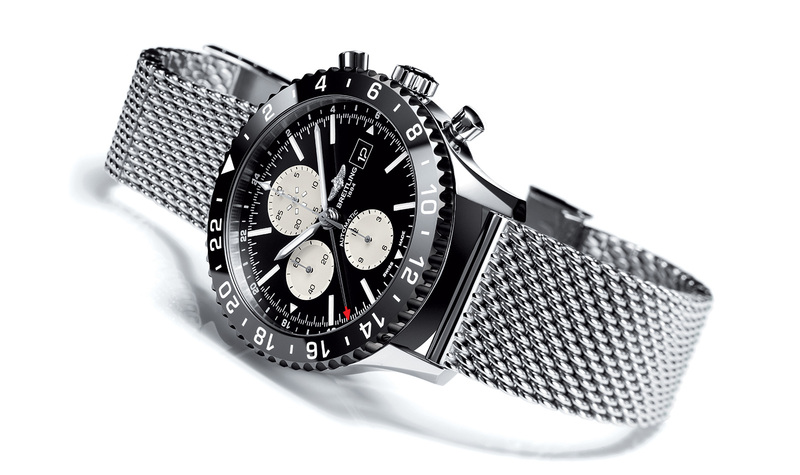 And as is often the case with Breitling’s recent introductions, the Chronoliner has a vintage-esque styling, just like the Transocean Chronograph 1915. 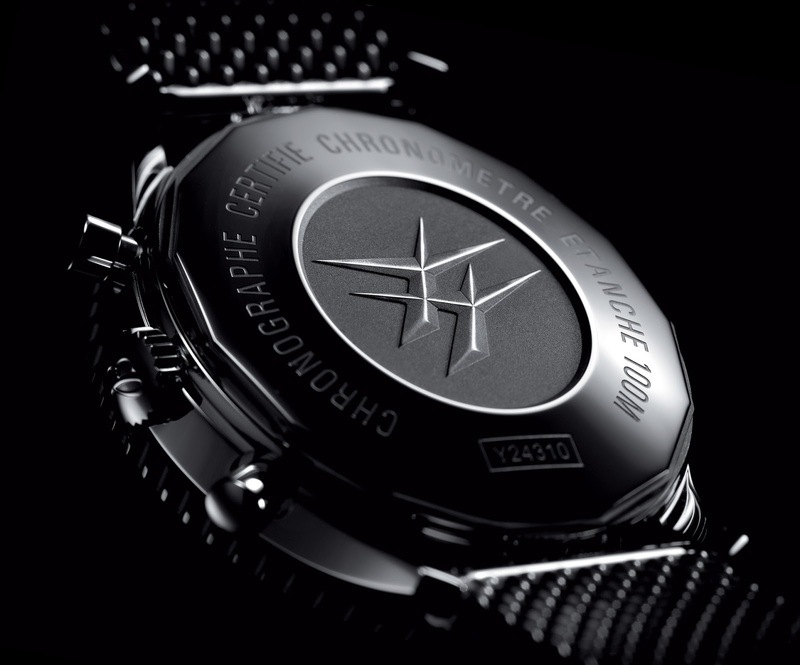 Slated to be officially introduced at Baselworld 2015, the Chronoliner has a 46 mm, polished steel case fitted with a rotating 24-hour bezel in black ceramic. The dial is lacquered black with white luminous baton indices, while the second time zone hand is tipped with a red arrow for contrast; the 24-hour black ceramic bezel can be set to track a third time zone. Super-Luminova on the central seconds hand and elapsed minutes register allows the chronograph to be used to record up to 30 minutes in low light. The Chronoliner is powered by a COSC certified Valjoux 7750 self-winding calibre, and fitted with a sapphire crystal coated on both sides with an antireflective layer. 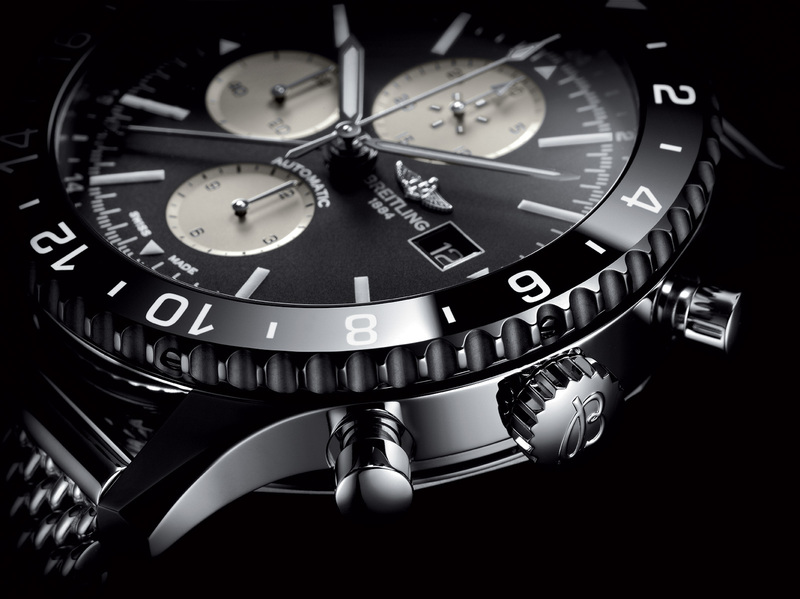 Breitling traditional double pane logo is cast in relief on the case back. The Chronoliner is available with a mesh Ocean Classic bracelet for the complete retro look, or the more modern Navitimer bracelet. Prices start at 10,790 Singapore dollars or 7070 Swiss francs for the Chronoliner on Ocean Classic.